This website is for users of all ages but if you are under the age of 18, a parent or guardian must read and agree to the Terms and Conditions for you and provide their email address at sign-up. We do not allow users under the age of 18 to use their own email address. If a music teacher has added you to the Website, they must obtain consent from you, or your parent or guardian if under the age of 18, by using one of the options in the Teacher Dashboard. ‘Website’ refers to all websites owned and run by Susan Leigh including www.studyforfive.co.uk and www.learnatune.co.uk. Use of the words ‘we’, ‘us’, or ‘our’ in these Terms and Conditions refers to Susan Leigh and use of the word ‘you’ is to you, the User of the website, as well as your parent or guardian if you are under the age of 18. The word ‘pack’ refers to resources, including music games, quizzes and other learning tools grouped together. The word ‘group’ refers to the students added to the Website by their own music teacher. The www.studyforfive.co.uk and www.learnatune.co.uk Websites have been created and are run by Susan Leigh. 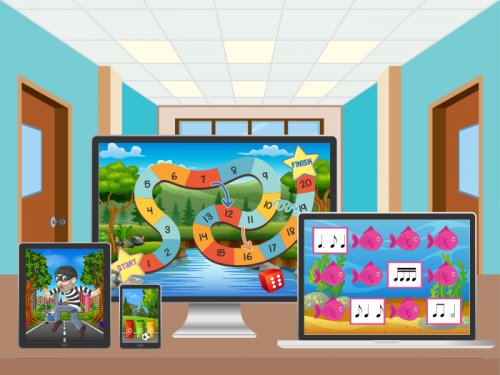 These websites provide access to music theory games and quizzes and other learning resources for students learning music. Resources are grouped together in music ‘packs’. Many of these resources are provided free of charge in a free pack upon registration, and some packs are available by paying a fee giving access which lasts for a specified period of time. To access the resources and music packs you will need to become a registered user by setting up a personal account. Accounts are available for both students and music teachers. The Website is for users of all ages but parents or guardians should register if their child is under the age of 18, and use their email address at registration. If your music teacher adds you to the Website we ask them (or your parent/guardian if under 18) to get your consent first. Each registration is for a single user only. You are only permitted to have one personal account and agree not to create multiple accounts for one person. You must not create an account for anyone other than yourself without permission. You must not use one account for several people. Please see below the special conditions for music teachers. To become a registered user and create an account, you provide us with your full name, email address and a strong password. These details are only used to administer your account. It is the responsibility of the user to inform the Website of any changes to their information by using the account facilities. We reserve the right to refuse or remove any username for any reason if we consider it to be inappropriate or receive a complaint. We reserve the right to suspend or terminate your access and use of the Website as a whole or part at any time. We may exercise the right with or without notice. Please see below further information regarding Music Teacher ‘groups’ and students linked to those groups. We will only ever contact you about matters relating to your account and only where necessary. If you wish to to subscribe to Music News to find out about offers, new games and new products, we ask you to actively opt-in. You can unsubscribe at any time. Your account information is private to you, including quiz scores, with the following exceptions. Whilst individual quiz scores are never visible on public parts of the site, your username and achievements are visible on a leaderboard (achievements include badges unlocked, your ranking and points total – points are earned for activity within the Website including logging in, passing a quiz etc). Your username will also be visible in any comments you might make. If you have been added to the Website by your own music teacher they may be able to see some information about your progress – please see the section ‘Students Added by Their Music Teacher’ below. At registration you are sent a username and password to access your account and the music packs. You are responsible for maintaining the security of your account, your password and data, and you are fully responsible for all activities that occur under the account. Please keep all your account details secure. It is highly recommended that you choose a strong password using a combination of letters and numbers. You must notify the Website immediately of any unauthorised uses of your data or your account. The Website does not permit any other person sharing your username and password. Should it be found that you are using the account, username or password of any other user, or have disclosed your password to a third party, or permitted a third party to access your account, your account will be removed from the Website. Your data is only ever used to administer your account and this includes your name, email address, username and information generated by any quizzes or games you may take, as well as any comments you might make either through contact forms, or in post comments. If you wish to be removed from this Website completely, please fill out the Removal Form. If you are a music teacher, you have the option to register for a Teacher Account. You must first be verified as a teacher by agreeing to follow the ‘Teacher Code‘, but once accepted, you will be able to add your own students to the Website. Use of the ‘Teacher Dashboard’ and ‘Teacher Packs’ are subject to the following terms and conditions. Once accepted and verified as a teacher, you are given access to the ‘Teacher Dashboard’ which allows you to pick a Teacher Pack and add your own students to it, as well as view a snapshot of their activity within the site. Registering for a Teacher Pack turns you into a ‘Group Leader’ of that pack, with any students you add to it becoming part of your ‘group’. Your personal account is for you only, and must not be used with your students. Instead, please use the facilities within the Teacher Dashboard to add your own students to your group. This will create separate personal accounts for each of your students with their own unique usernames and passwords. It is the responsibility of you, as the music teacher or Group Leader, to ensure you have permission before adding a student to this website by using one of the options provided on the ‘Add Students’ page of the Teacher Dashboard. If the student is under the age of 18, it is your responsibility to obtain parent or guardian permission and keep those permissions in a safe place. To add a student you will need their full name and an email address. If under the age of 18, please ensure this is an email address belonging to a parent or guardian. It is not permitted for teachers to use a student’s own email address if they are under this age. You will not have access to your students private accounts. As their teacher and Group Leader you will only be able to view a snapshot of their activity on the site, including quiz scores, and use email or messaging contact facilities. You are only permitted to use the communication facilities on this site in relation to music study. Any teacher found to be using it for any other purpose will be immediately removed from this Website. You are not permitted to add students who are not having lessons with you. This facility is for your own students only. Music teachers who purchase a paid Teacher Pack may wish to pass on the cost to their students. We ask that this is no more than the current price advertised for an individual pack on the Website and the cost should be clearly stated by the teacher to students before enrolling them. Any teacher found to be charging more than this may be removed from the Website. This Website has no involvement in any financial transactions between teachers and students or their parents/guardians. Once you have added a student to a paid pack it is not possible to remove them, or transfer their account and remaining time to another student. You can remove students from the free pack by using the facilities within the Teacher Dashboard. This action will remove the student from your group and free Teacher Pack but not from the main website. If students wish to be removed from the main website, please ask them to use the Removal Form. 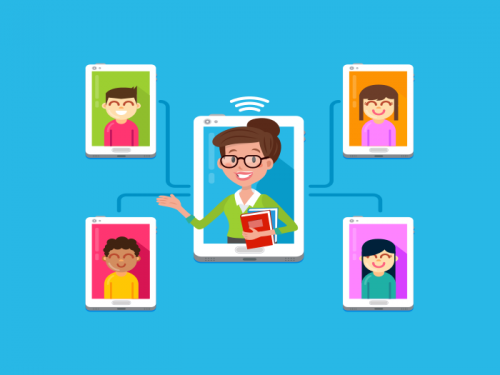 Your music teacher has the ability to add a Teacher Pack to their account which allows them to add their own students to the Website and to the pack. 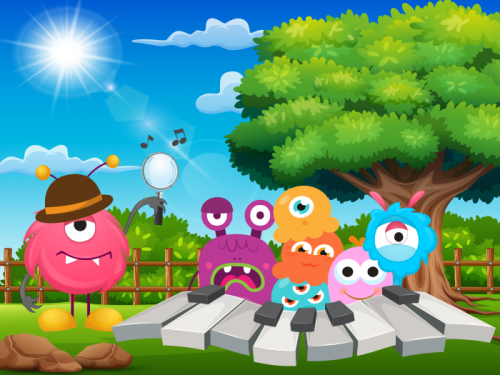 A music ‘pack is a collection of music resources such as quizzes, games and activities. Students added become part of the teacher’s ‘group’ allowing the teacher to view each individual student’s activity within the Website. Your teacher should have asked for your consent before adding you to the Website. If you are under the age of 18 this should be sought from your parent or guardian. To ensure a safe learning environment, music teachers are required to agree to follow a Teacher Code before registration and adding their own students. Music teachers may pass on the cost of a paid pack to their students. However, we do not permit teachers to charge more than the current cost of a pack as advertised on the Website and ask them to clearly state the charge to you before giving you access. In adding you to this Website your teacher will have provided us with your name and an email address. This email address should be your parent or guardian’s email address if you are under the age of 18. Please use the account facilities (accessed from ‘My Homepage’) to change your email address if this is not the case. Students under the age of 18 are not permitted to use their own email address. Your account is your own personal account and cannot be accessed by your music teacher. However, your teacher will be able to see your activity on the site including any quiz scores. Please note that your music teacher will have the facility to both add you to or remove you from their group linked to the free music pack. However, before removal we may contact you to confirm. Please use the Removal Form if you wish to be removed from the Website completely. The Website allows you to comment on posts and resources if you wish. However, this is a study based Website and users are asked to only post content relating to music study. To ensure a safe study environment, all contributions are moderated and any comments which are considered inappropriate will be deleted. Any user found to be posting anything offensive or unrelated to music study may be removed from the site immediately without warning. Please ensure you have the right to do so before sharing any content or information on the Website. We do not accept responsibility for material linked to (whether provided by us or another user) accessible through the Website. Any links provided are not an endorsement of products, services or information provided by such website. You acknowledge that you use links on the Website at your own risk. You agree not to use the Website to defame, abuse, harass, stalk, threaten or otherwise offend others. You agree not to publish, distribute, email, transmit or disseminate any material which is false or misleading, unlawful, obscene, defamatory, indecent, offensive or inappropriate. Any user doing so will be immediately removed from the Website. You agree not to post any advertising, marketing or promotional material or other unauthorised commercial content. Any user doing so will be immediately removed from the Website. We reserve the right to remove without notice any content posted which breaches these Terms and Conditions. 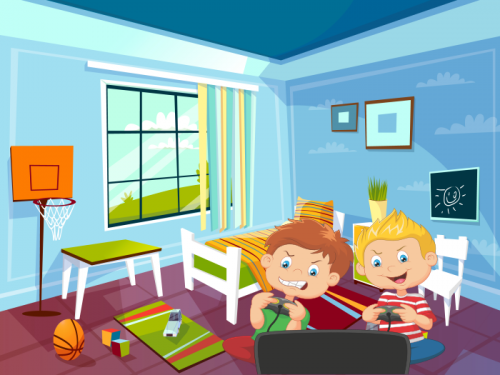 All Website content including the games, quizzes and resources in a music pack, are the property and copyright © of Susan Leigh and you may not reproduce, modify, store, archive or in any way commercially exploit any of the content found on it. The content should be used only for your own personal use (non-commercial) and not for any other purpose. Where the Website has used images, sound effects or music from other sources these are also subject to the copyright notices from such individuals or companies, and similarly may not be reproduced, modified, stored or commercially exploited. You are very welcome to link to the Website but may not copy any of the content. This Website passes payment processing to Paypal and does not hold any personal financial information. To access the paid part of this Website you must be enrolled on a music pack and have a valid and up to date paid account. Each enrolment lasts for a specified duration and does not automatically renew. If you wish to access the resources after this time you will need to buy the pack again. Users who join the websites themselves (without having been added by a teacher) and who pay and register for any of the paid packs of music resources on the Website and wish to cancel, will be given a full refund if requested within 14 days of payment, provided that the music packs paid for have not been accessed and/or used. No refunds will be given to users who request a refund later than 14 days from their date of payment or those who have started using the packs. For students who are added to paid music packs by their teacher (as stated in the section ‘Music Teachers and Groups’), this Website has no involvement in any financial transactions between a music teacher and their students or parents/guardians, should the music teacher decide to pass on to them the cost of a music pack. Music teachers should not charge more than the advertised cost of the music pack on this Website. Each enrolment on both the paid part and free part of the Website is for one single user only and may not be used by more than one person. We make no guarantee that the use of the Website will be compatible with all hardware, software and web browsers but please ensure your computer or device has the following minim requirements for viewing and playing the games on this Website before you purchase a paid pack. It is recommended that you use the latest version of Google Chrome on Windows and Safari 7 or later or Google Chrome on a Mac. On a mobile use Safari in Apple iOS 7 and later, and the latest version of Google Chrome in Android OS 4.1 and later. The site may very occasionally be unavailable for maintenance or other issues. We do not guarantee the functions contained in the site will be interrupted and will not be liable if for any reason the Website is unavailable for any period of time. To the extent permitted by law, we will not be liable for any claim from you relying on the security or uninterrupted access to the Website. Whilst we try to ensure that the Website does not contain any errors, the Website and its components are offered for informational purposes only and this Website shall not be responsible or liable for the accuracy, usefulness or availability of any information transmitted or made available via the site, and shall not be responsible or liable for any error or omissions in that information. Additionally, whilst necessary precautions are taken via the webhost, we make no warranty that the Website or its server are free from infection by viruses or anything else that has contaminating or destructive properties. We are not liable for any loss or damage that may come from using the Website. We make no guarantee that the use of the Website will be compatible with all hardware, software and web browsers. We make no guarantee that the Website will deliver any specific outcome for its users. We reserve the right to make changes to any part of either the Website and our services. We may make improvements or alterations to the Website and its content at any time and without notice. We may wish to change these Terms and Conditions. When the Terms and Conditions are changed, you will be notified by details of these changes included at the end of this page. You are therefore advised to re-read them on a regular basis. If you use the Website after changes are published below, you are agreeing to be bound by these changes. If you do not agree to the changes, you should contact us by using the contact form on this site and cancel your registration. You may not assign, sub licence or otherwise transfer any of your rights under these terms. These terms and conditions will remain in full force and effect while you use the Website. You may terminate your use of the Website or account at any time by filling out the Removal form. Please note that if you were added to the Website by your music teacher, we may notify them of your removal request.